Sherwin-Williams, is one of the world's leading refinish brands. 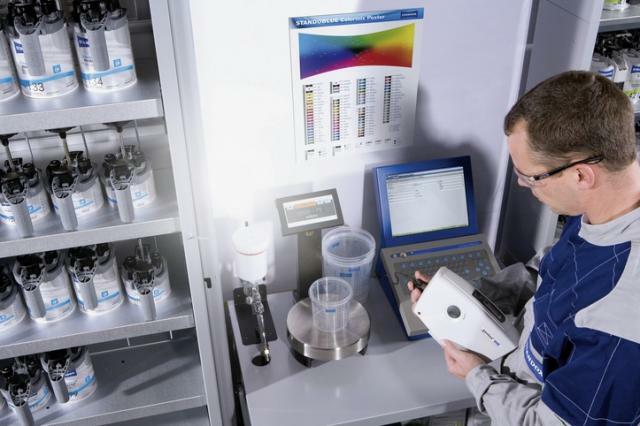 It delivers exceptional results through its innovative product systems and paint technology. Sherwin-Williams paint systems was created to put great paint in the hands of master craftsmen, the professional refinisher who masters the challenges of change and understands the requirements of the future. Simply Stated, Sherwin-Williams is the choice for those who approach vehicle refinish as an art. 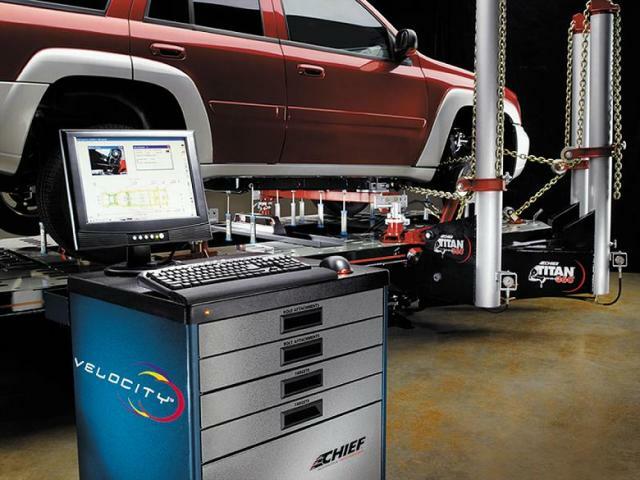 Chief's Velocity Is far and away the most sophisticated syestem available in the industry today. Providing full-color, one-page repairs on the exact conditon of the vehicle's frame before, during and after repairs have been made for indisputable evidence of damage severity and quality repairs. All of our estimates are generated with the AudaExplore automated estimating system. AudaExplore enables us to run productively while completing a high quality repair. This system helps us to work efficiently with your insurance company and streamline the claims process to exceed your expectations. Grabber is a recognized leader in the collision repair industry for over 40 years and committed to excellence. 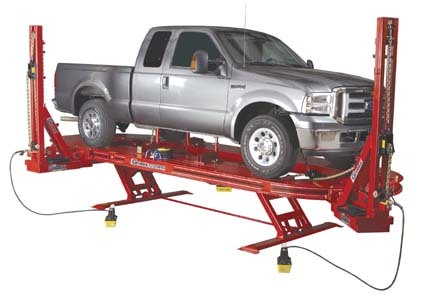 Our frame alignment equipment is state-of-the-art, enabling us to offer you accurate service for unibody structure measuring and repairs.